England’s convincing win over Sweden has left the country delirious at the thought of reaching the country’s first final in an international tournament since 1966. Although there were times when Sweden looked like making the fixture more competitive, the team’s new hero Jordan Pickford was more than ready to ensure his side reached the last four stage for only the third time in their history. Croatia however needed penalties to beat hosts Russia, and at times looked very vulnerable to the physical and direct approach used by their opponents. Something Gareth Southgate will have spotted, and he will look to use this weakness against a strong Croatia side. The ability to get the job done against Russia will be a huge relief for a talented side, who were huge favourites heading into the tie. 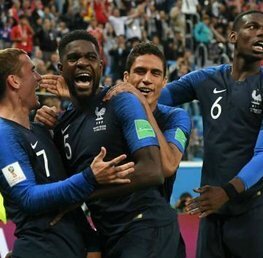 England will need to be cautious, Croatia have stellar players in their squad who can turn a match instantly, as shown by their stunning 3-0 demolition of Argentina in the group stages. England’s inability to stop Sweden creating plenty of chances during the second half will more than encourage a team that has some of the world’s best players. Southgate may need to send his side out to start quickly. For England to be leading after 15 minutes is 13/2 with Coral. There are many within the Croatian side who will know that they were lucky to get away with what was an abject performance against Russia. A repeat of that performance against an improving England side will see them lose. Zlatko Dalic is one of the game’s up and coming managers and will relish the opportunity to put one over England and reach the final. The side were too open at times in the quarter finals and will need to tighten his side up. For Croatia to win to nil is 4/1 with Betfair. 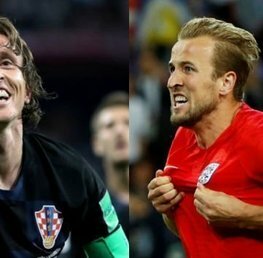 Croatia vs England World Cup Semi-Final Betting Offer! As Dele Alli planted his header past Swedish goalkeeper Robin Olsen to give England a 2-0 lead, you could virtually see the relief flood through the England side. A quick start by Sweden in the second half caused the backline some serious problems, and it looked like their opponents were going to get back into the tie, despite England dominating much of the game. 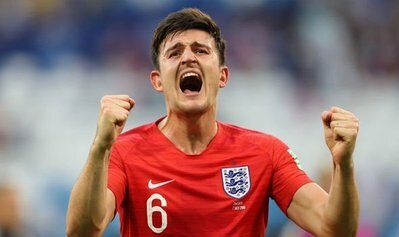 It was Harry Maguire, from another set piece that had given England the lead, as the Leicester City man powered in a header, which crowned what was another brilliant display. The former Hull City defender has been key to England during the tournament both at the back and as a weapon going forward, and he looked delighted to have scored his first England goal. It was a crucial moment in the match, as it allowed England to relax and stick to their game plan. 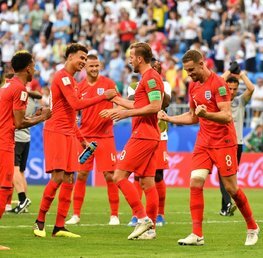 Although England have quality going forward, it looks as though the set piece routines are something that Southgate and his staff have worked on strenuously leading into the tournament and has so far paid wonders. Expect the side to try to use these even more against Croatia, and Harry Maguire’s stature and height is always going to present problems for any defence. Harry Maguire is 12/1 with William Hill to score at any time. With Real Madrid’s Luka Modric, Inter Milan’s Ivan Perišic and Barcelona’s Ivan Rakitic, Croatia have arguably the best midfield left in the tournament, and is something that manager Dalic will look to exploit in a bid to help his side reach their first ever final. With a side full of world class players, they will fancy their chances of beating England. Although their main front man Mario Mandžukic has failed to bring his A game to the tournament so far, the Juventus man cannot be ignored. Generally considered one of football's leading target men, he will relish the battle with the likes of John Stones and Kyle Walker, who have been known to struggle in aerial situations at international level. For Mario Mandžukic to score at any time is 7/2 with Betfair. 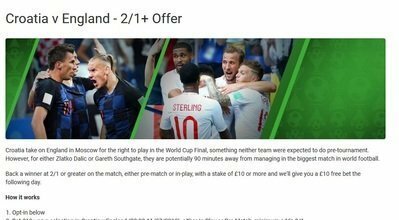 England: 11/8 - Visit Betfred! Draw: 43/20 - Visit Unibet! Croatia: 13/5 - Visit Betfair! England at times looked tired and complacent against Sweden, whilst Croatia struggled to contain Russia during their quarter finals fixtures. 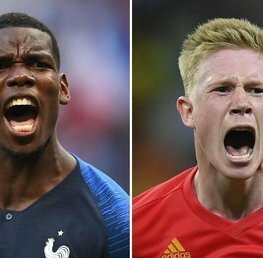 With both teams anxious to reach the final and the pinnacle of the game, expect the game to be tight, with a few chances falling to each side, and it could be who makes the most of these fleeting opportunities. With Harry Kane showcasing his predatory instincts already during the tournament, this could be the defying factor for and England win. Harry Kane to score the last goal of the game: 10/3 - Visit Betfair! The game to be drawn at half time and England win at full time: 19/4 - Visit Unibet! England to win 2-1: 9/1 - Visit Willaim Hill! Please note all odds are correct at the time of publishing (21:30 10th July 2018) and are subject to change.